Looking for an island escape, but no time or money to head to the Caribbean? If you aren’t too fussed about getting a tan, why not head to a Dutch island. Fresh air, cycle paths, nature and long beaches – and most of the Dutch islands are only a short ferry ride away. Pampus: an artificial island constructed in the late 19th century in the IJmeer lake, close to Amsterdam. One of four forts commissioned as part of the Stelling van Amsterdam (Defence Line of Amsterdam), it had the capacity to accommodate 200 men but was only fully utilised during WWI. Terschelling: with approximately 20,000 tourist beds, Terschelling is the largest and most visited Wadden Island. Head west from the main town centre of West Terschelling to experience untamed nature and long white beaches. In June, the island hosts the 10-day Oerol festival, attracting many visitors to the art and theatre performances taking place across the island. Vlieland: smaller, less densely populated than the neighbouring islands, yet only 90 minutes by ferry from Harlingen in Friesland. Vlieland entices visitors with its serenity and nature, extensive network of cycle paths, and the promise of 20% more sunny days than the mainland. Texel: boasting 24kms of beaches and easy to reach via ferry from Den Helder, Texel is also famous for its lamb. All year, visitors can cycle around the island taking in the nature and stopping at one of the seven villages to refuel. Ameland: hosts a human population of around 3,500, an estimated 60 types of birds and copious flora species. In 1871, attempts were made to build a dyke between the island and the mainland. The 8.7km dyke lacked durability and was destroyed by storms the following year, leaving remains that can be seen at low tide. Schiermonnikoog: the name of the island translates as ‘island of grey monks’, referring to the original owners who were forced to hand over the island during the Dutch Reformation. Griend: this uninhabited small island, 12km south of Terschelling, has the largest colony of Sandwich terns (birds). In the Middle Ages a colony of monks also lived in the walled monastery on the island. Rottumerplaat: not accessible to ordinary humans, Rottumerplaat is a zone restricted to resting and foraging for the numerous bird species who live on the island and is the northernmost part of the Netherlands. Rottumerplaat is notorious in literary circles as being the place that spawned two extremely different novels based on the individual experiences of the two authors (Jan Wolkers and Godfried Bomans) who spent a solitary week on the island in 1971. 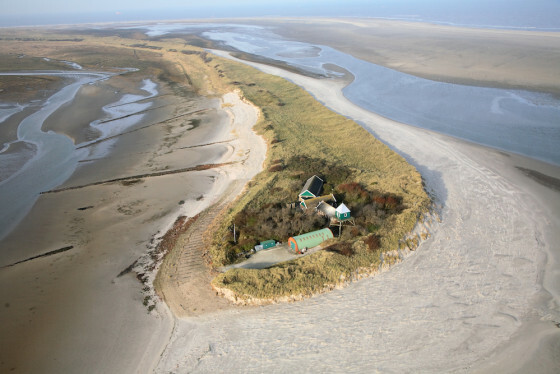 Rottumeroog: uninhabited and under threat of disappearing into the Ems estuary due to changing sea currents. 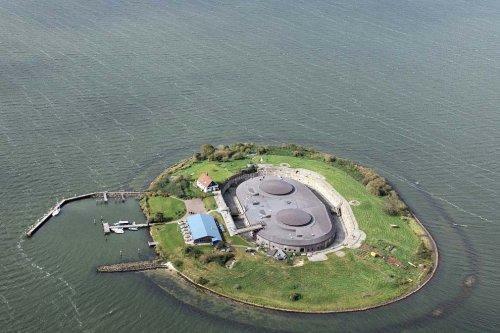 Zuiderduintjes: a small island providing sanctuary to birds and seals, but inaccessible to humans. Rif: with an area of less than 0.1 square kilometres, this bump in the water lies between Ameland and Schiermonnikoog. Yes, we know. We have not included the Dutch Caribbean islands – that’s a different story. And Urk, Marken and all the rest of the islands which have been attached to the mainland don’t count. But if we’ve forgotten any significant pieces of land surrounded by water, please do let us know.